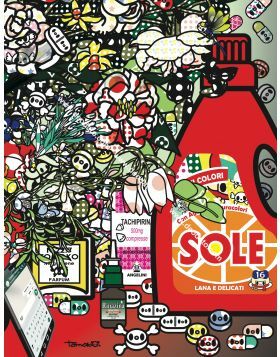 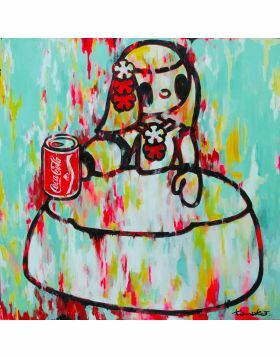 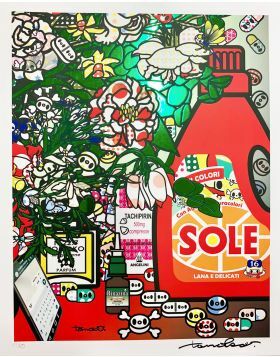 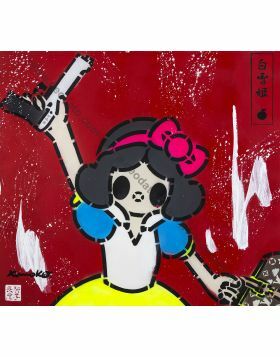 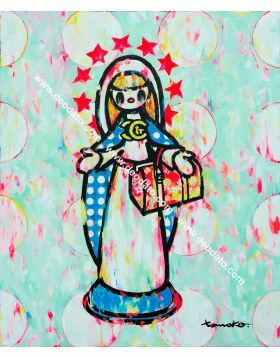 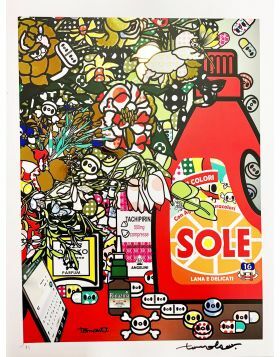 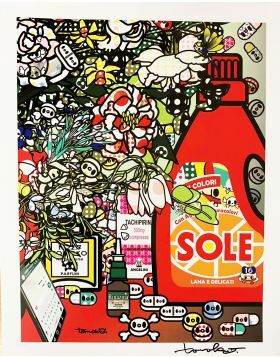 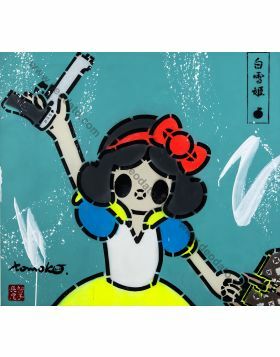 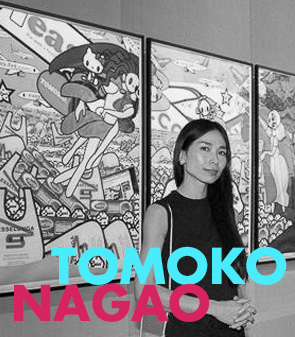 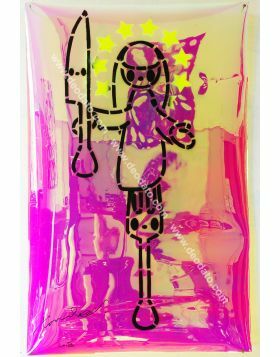 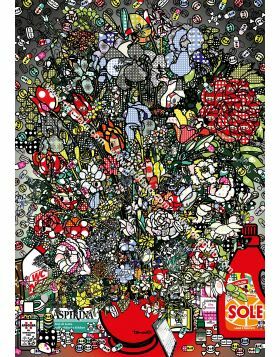 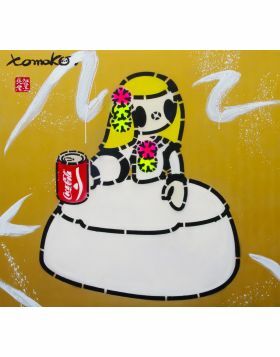 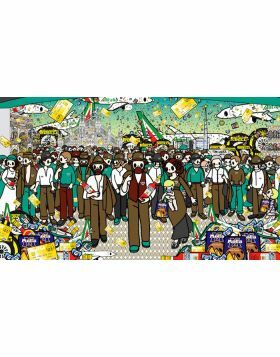 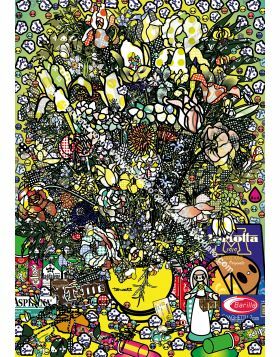 In her works Tomoko takes Renaissance subjects and she revisits them, also introducing global brands like Coca-Cola, iPad, Barilla, Play Station PSP with the aim of creating an ironic reference to the economic mechanisms of power in the modern society. 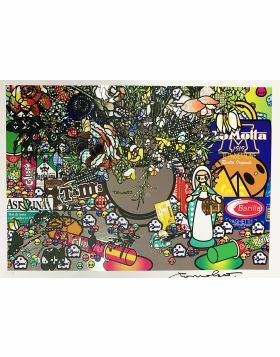 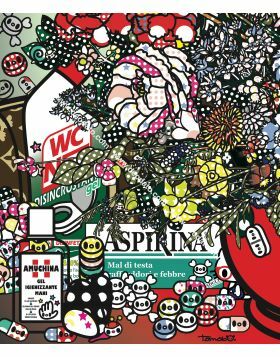 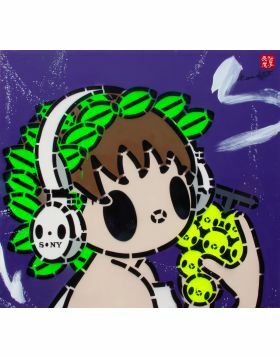 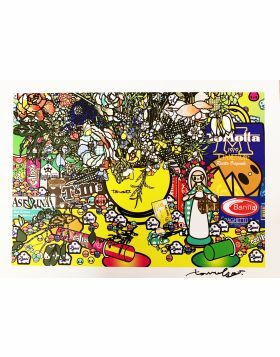 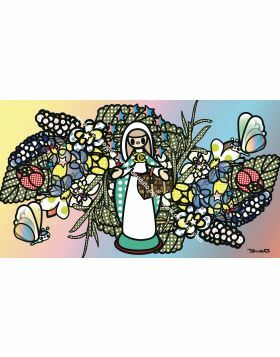 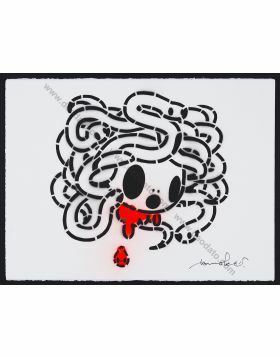 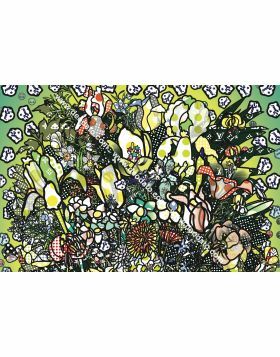 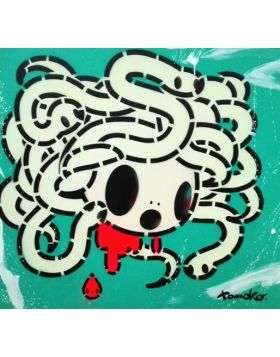 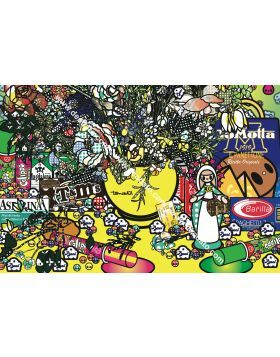 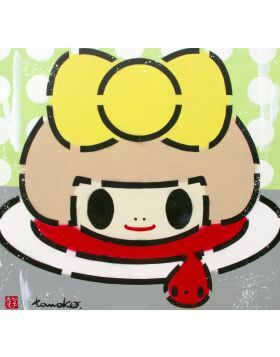 In this work Tomoko Nagao proposes a zoom on a detail of the Canestra of Fruit of Caravaggio. 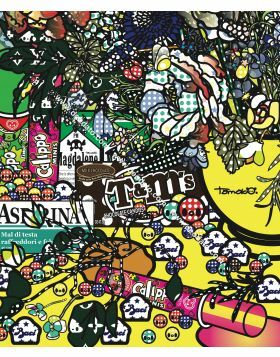 The artist focuses on the apple, that is rotten in the composition of the seventeenth-century, and she adds a nice caterpillar. 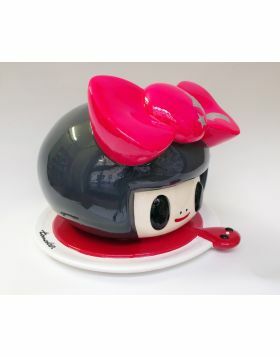 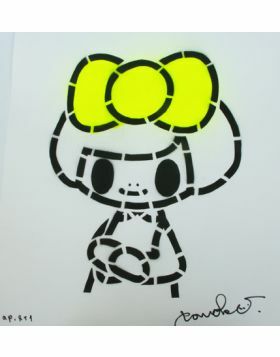 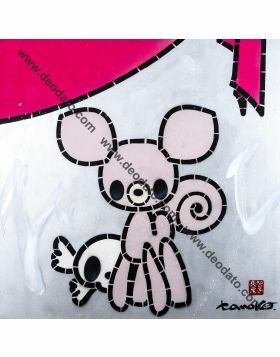 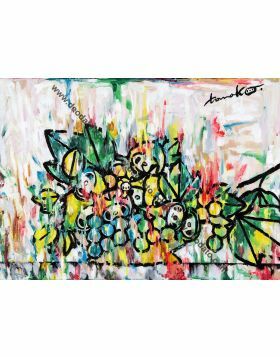 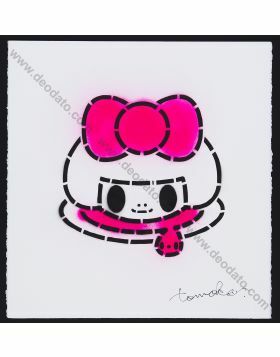 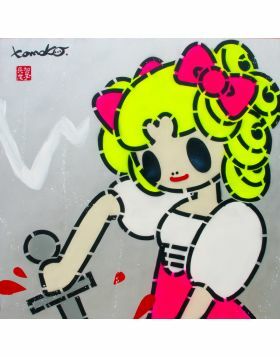 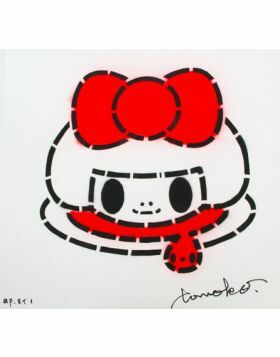 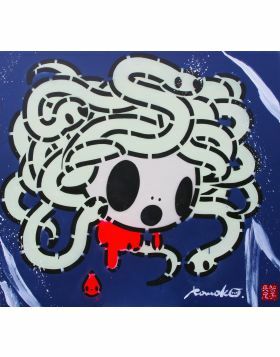 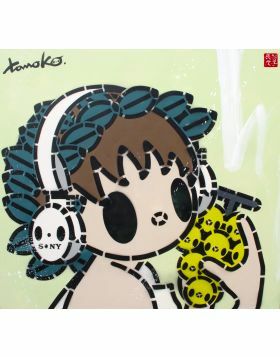 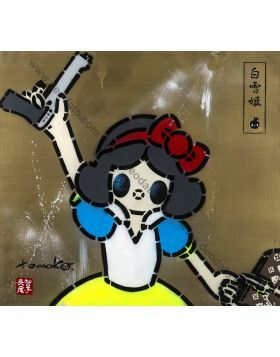 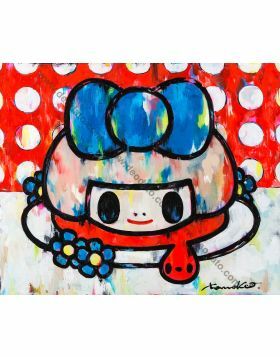 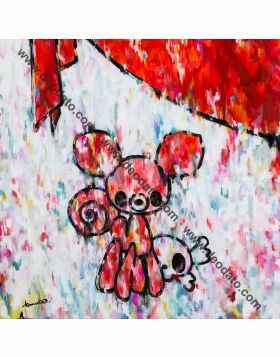 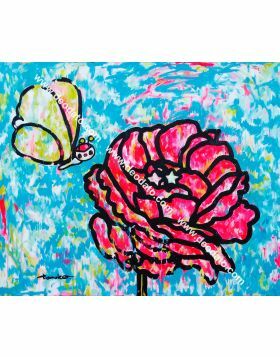 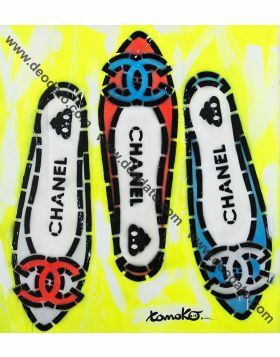 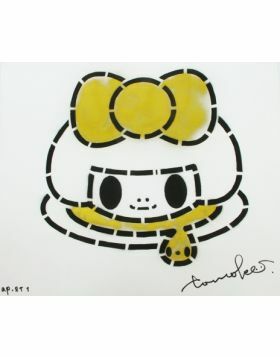 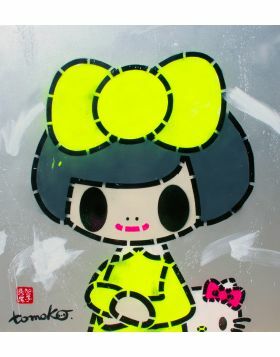 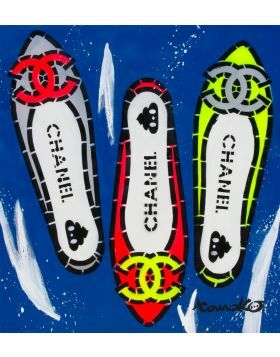 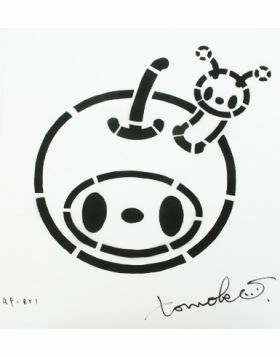 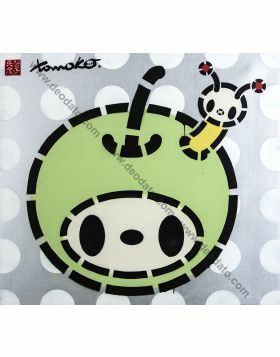 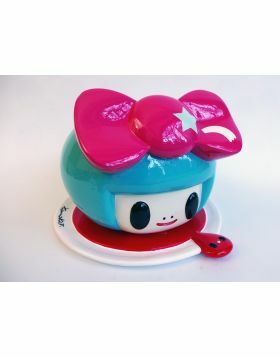 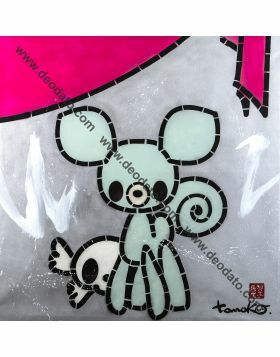 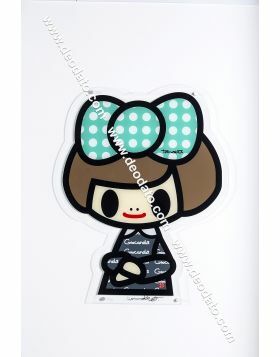 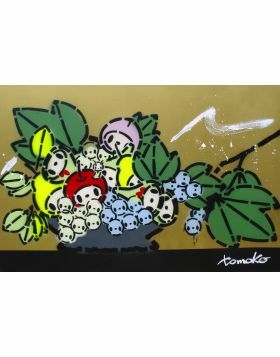 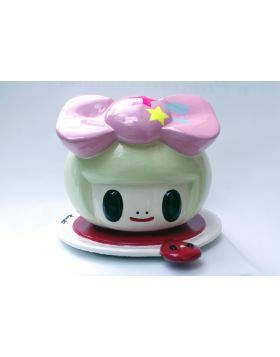 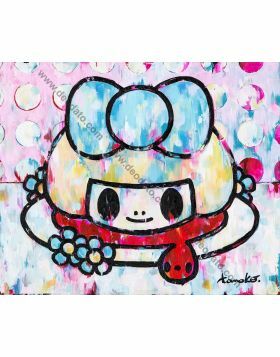 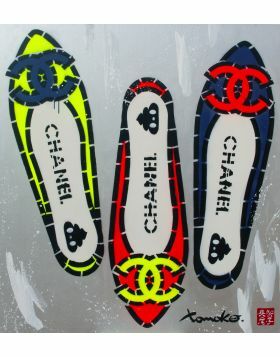 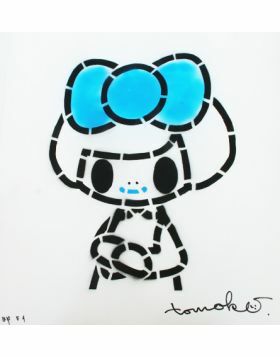 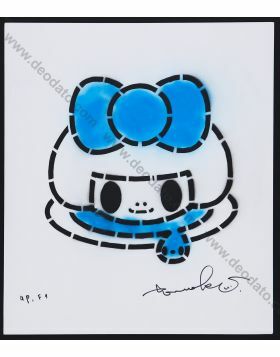 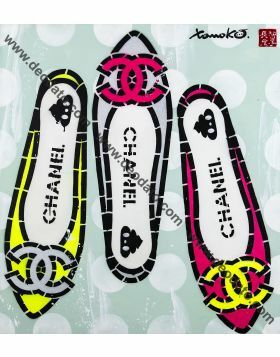 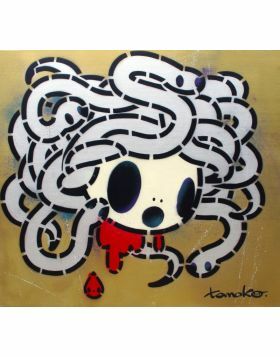 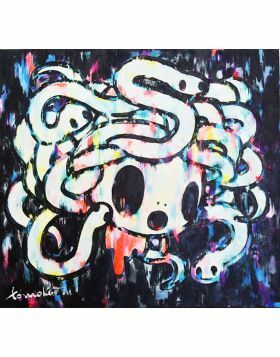 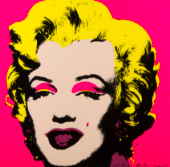 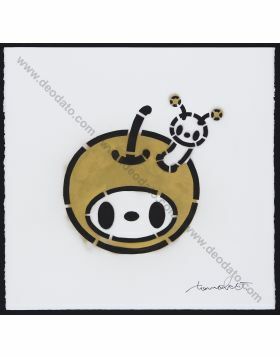 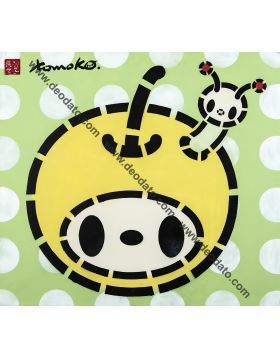 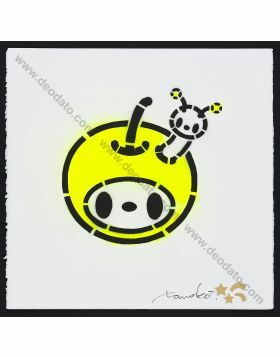 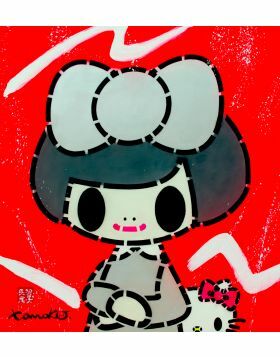 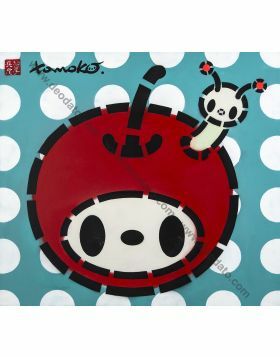 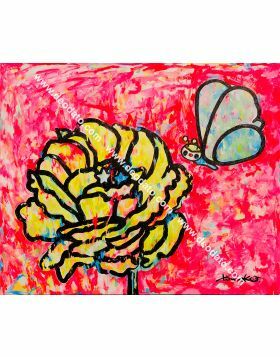 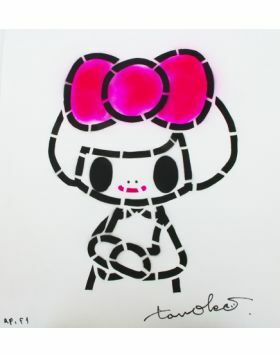 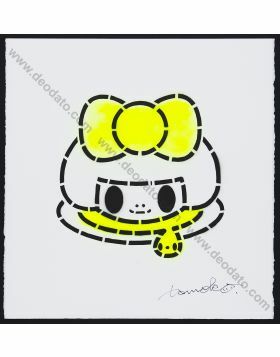 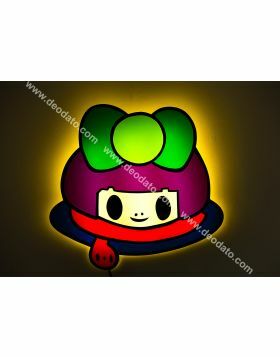 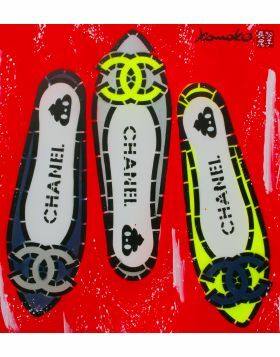 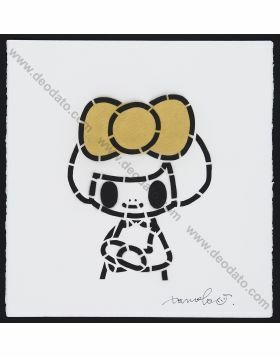 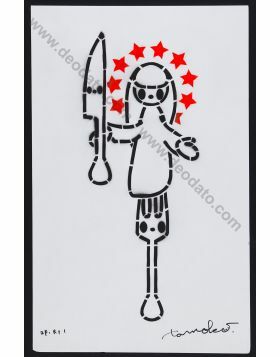 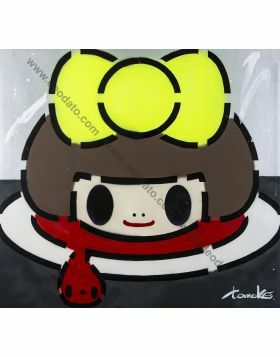 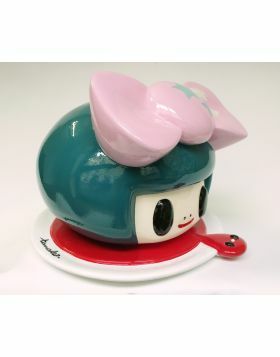 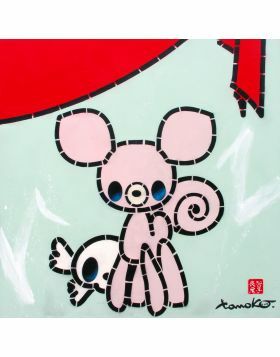 The all is made with the aesthetics "kawaii", characteristic of all the jobs of the artist. 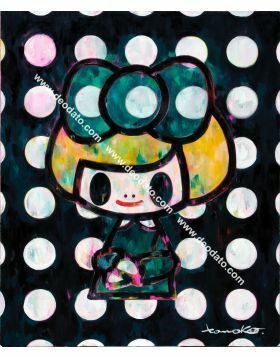 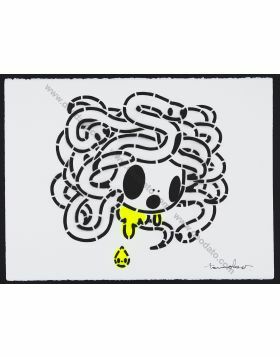 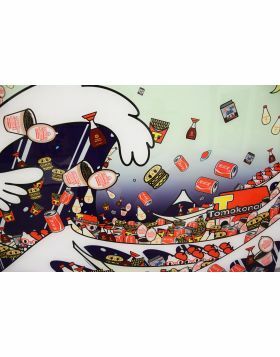 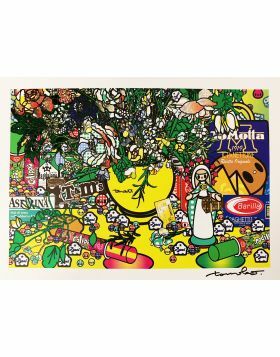 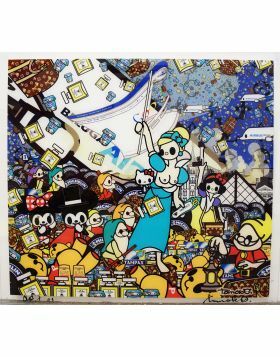 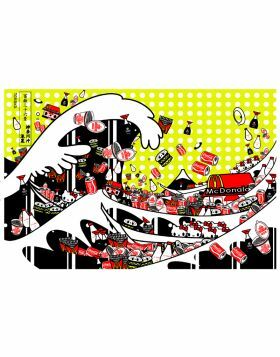 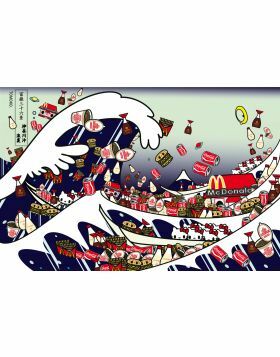 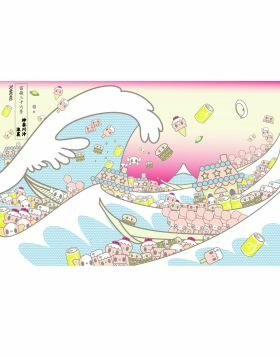 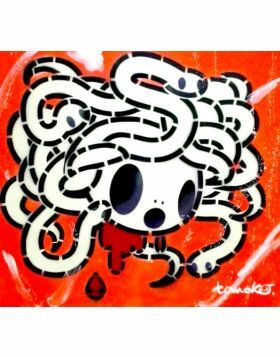 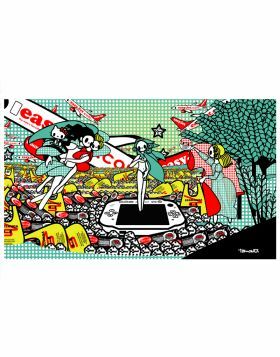 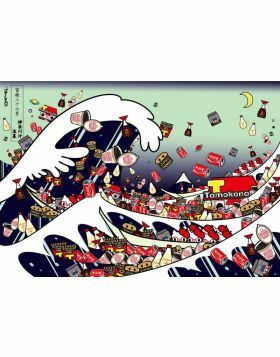 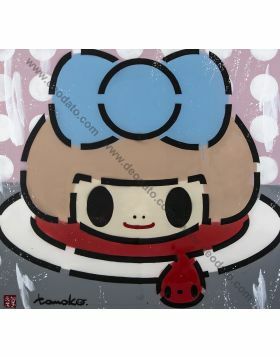 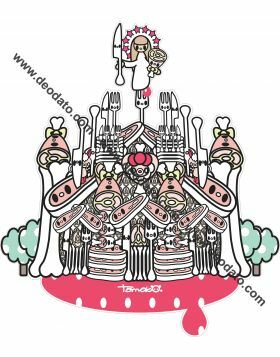 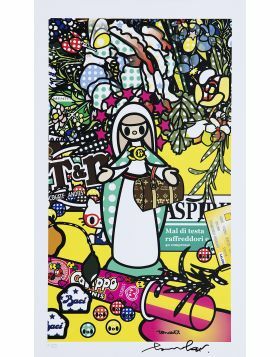 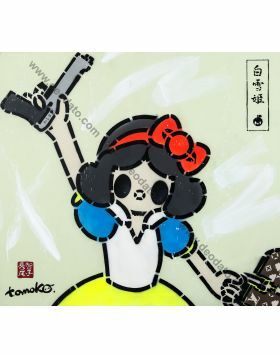 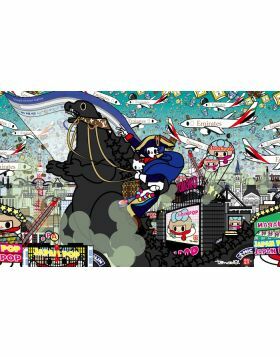 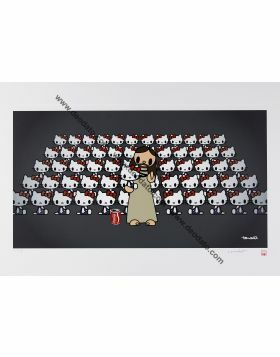 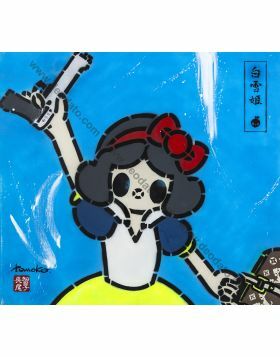 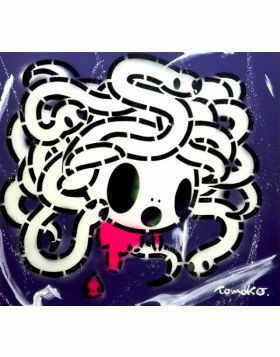 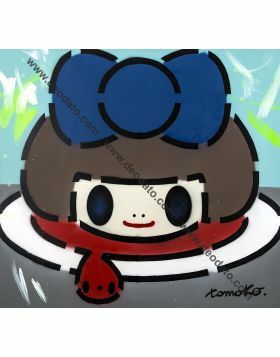 Nota Opera realizzata dall'artista Tomoko Nagao. 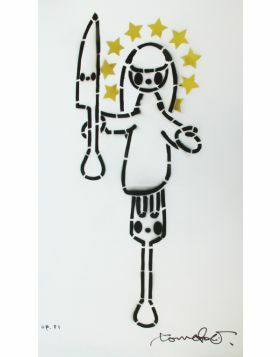 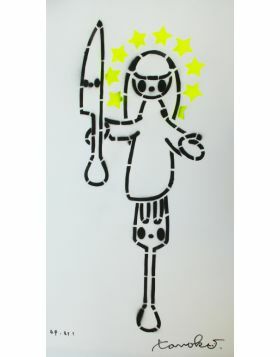 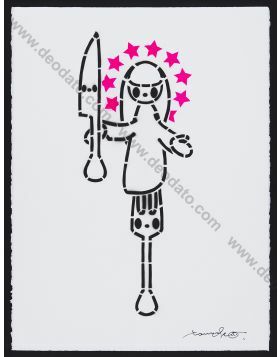 Stencil art della massima qualità.